On-Q has introduced a new suite of wall plates and devices. 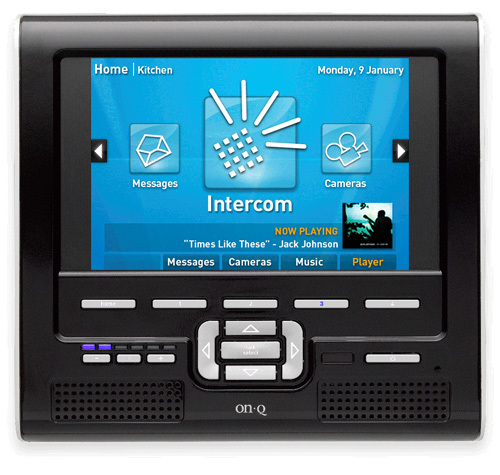 From intercoms to wall mounted LCD consoles. This seems like a great cost-effective setup for people that don’t need full home automation but a simple way to play music, leave messages and view cameras. For more information check out On-Q. Home Automation Forum : Now Open! Crestron Prodigy – Low-Cost Media Control/Automation Solution?